Broadcast period: October 14, 2013 to ? ? ? We have many choices to make in life. "Is it okay for me to like this man?" Our choices determine the direction of our lives, for better or for worse. and made the choices for me? What if we had a navigation system for our lives? Our drama begins with these questions in mind. a 32-year-old woman who experiences this dream come true. She is a contract worker who has trouble enough trying to keep her job. She was too caught up in the daily rut to even think about her dreams and life, when suddenly a woman appears claiming she is her future. SHE will make the right choices and change her life. or her own choices right now? A success story from the struggles of two women on one life. What is it that you want from life?What is the meaning of happiness from life? I can't wait on this drama, hopefully Yonghwa will confirmed and the other cast. The story sound interesting. CNBlue’s band leader Jung Yong Hwa is considering to appear in upcoming KBS Mon-Tue drama, Future’s Choice. Future’s Choice is a story about workers at a broadcasting station. It also involves a female worker that goes back in the past to meet herself when she was younger. Jung Yong Hwa offered the role of television PD with extraordinary skills. The writer for Future’s Choice is Hong Jin Ah, who also wrote Beethoven’s Virus and King 2 Hearts. Future’s Choice is expected to air on second half of this year, after the conclusion of the drama “Good Doctor”. Jung Yong-hwa is reportedly considering another drama role after his last one fizzled (buh-bye, Heirs), and it’s a drama I’m actually quite interested in hearing more about. Called Future Choice, the miniseries comes from one-half of the other Hong sisters writing partnership, who penned The King 2 Hearts and Beethoven Virus. Only the elder sister, Hong Jin-ah, is behind this one, but I’m willing to hold off on judgment of whether the lack of the other will be a bad thing. Future Choice is yet another time-slip drama (…pause to let groans fade), which means it’s rather behind the curve. But you know, if the time travelers of the past year have proven anything, it’s that premise alone means little—it’s the execution that’ll make or break. The plot has clear similarities to other wrinkle-in-time dramas like Nine (they’re broadcast anchors there), particularly given that in Nine the hero was also on a quest to purposefully change time. That’s the opposite of most of our shows in this category, like Dr. Jin, Queen In-hyun’s Man and Faith, where the characters were wary of messing with history and altering the future/present. Should make for an intriguing exploration of the heroine’s motives and crises. Because you don’t just go about screwing with your own past without running into crises. Future Choice will be a Monday-Tuesday drama on KBS to follow Good Doctor, which puts its premiere in October. Jung Yong-hwa has received the offer and is currently “positively considering” it. Any news about this drama? I can't wait. The story and work and love of a producer, a writer, an announcer and the people working around the broadcasting service. It’s been announced that Yoon Eun Hye and Lee Dong Gun will star in KBS2′s Future Choice which takes over Good Doctor‘s time slot. Lee Dong Gun’s last drama was 2008′s Star’s Lover while Yoon Eun Hye was last seen in 2012′s I Miss You. A role has also been offered to CNBLUE’s Jung Yong Hwa. He’s expected to join the cast. Future Choice is a time travel drama where a woman who works in a broadcast station goes back in time to give herself advice. It’s written by Hong Jin Ah (The King 2 Hearts, Beethoven Virus) and directed by Kwon Gye Hong (Crime Squad). This will be Lee Dong Gun’s first drama since completing his military service in 2012 so I except to see the rugged sexiness that tends to come with that. It’s been over a year but a girl can still hope. Future Choice‘s first episode is scheduled for October. It’s been announced that Yoon Eun Hye and Lee Dong Gun will star in KBS2′s Future Choice which takes over Good Doctor‘s time slot. Lee Dong Gun was last seen in a cameo role in 2008′s Star’s Lover while Yoon Eun Hye’s last drama was 2012′s I Miss You. A role has also been offered to CNBLUE’s Jung Yong Hwa. He’s expected to join the cast. News from MyDaily...Her Agency said the drama was offered and they are considering it. But it is NOT yet confirmed. Actors Lee Dong Gun and Yoon Eun Hye are tabbed as the favorites to lead the new Monday-Tuesday KBS 2TVdrama ‘Choice of Mi Rae (Future)’. According to numerous broadcasting insiders, Monday-Tuesday KBS 2TV drama ‘Choice of Mi Rae (Future)’, scheduled to be aired after the medical drama ‘Good Doctor’, has a high probability of presenting a fantastic lead couple that consist of Yoon Eun Hye and Lee Dong Gun. In particular if Lee Dong Gun, who has recently finished his military service, selects the ‘Choice of the Future’, it will be the first time that he returns to the small screens since 5 years ago when he appeared in ‘When It’s At Night’. Lee Dong Gun and Yoon Eun Hye will respectively play an attractive announcer Kim Shin and the maknae (youngest) writer Nam Mi Rae, and is expected to interact with C.N. Blues Jung Yong Ha, who will play the role of PD Park Se Joo at a broadcasting station. Meanwhile, ‘Choice of Mi Rae (Future)’ is a time slip drama that features a woman who has gone from the future to the past to offer herself advices on life. It depicts the professional work and love stories of the people from the broadcasting industry, including PDs, writers, announcers and etc. It is scheduled to air in October, following ‘Good Doctor’. Actors Lee Dong Gun and Yoon Eun Hye has been selected as the leading candidates for the new Monday-Tuesday KBS 2TV drama ‘Choice of Mi Rae (Future) [Writer Hong Jin Ah, PD Kwon Kye Hyong]’. In the morning of the 12th, an associate of the KBS drama division revealed to the Star News, “It is true that the production company has offered the roles to Lee Dong Gun and Yoon Eun Hye”. The associate continued, “It has not been finally confirmed that the two will appear in the drama…But KBS and the agencies are negotiating positively”. ‘Choice of Mi Rae (Future) is a love story between a son of broadcasting CEO and a woman who became a broadcasting writer since leaving her previous career as a village town hall employee. It is a time slip drama as the woman goes back in time to offer herself advices on life and a story of love and career of the people in the broadcasting industry. Writer Hong Jin Ah of MBC ‘Beethoven Virus, The King2Hears and PD Kwon Ke Hong of KBS 2TV drama ‘Detectives In Trouble’ will join forces for the project. It is scheduled to be aired in October, following the ‘Good Doctor’. Actress Yoon Eun Hye is examining the new Monday-Tuesday KBS 2TV drama ‘Choice of Mi Rae (Future)’ as her next project. Yoon Eun Hye’s agency, The House Entertainment revealed in the morning of the 12th, “We’ve received a offer for the role in ‘Choice of Mi Rae’. While it not at the confirmation stage, it is true that we are examining it at this time”. If Yoon Eun Hye decides to appear in this drama, she would be coming back to a drama after 9 months, since MBC drama ‘Missing You’ ended in January. ‘Future of Mirae’, which Yoon Eun Hye is considering at this time, is a time slip drama about the careers and love of people in the broadcasting industry. Yoon Eun Hye was offered the role of the maknae (youngest) writer, Jang Mi Rae in this drama. Writer Hong Jin Ah of the MBC ‘Beethoven Virus’ and PD Kwon Ke Hong of KBS 2TV ‘Detectives in Trouble’ will work together in this project. ‘Choice of Mirae (Future)’ is scheduled to air in October, following KBS 2TV Monday-Tuesday drama ‘Good Doctor’. Korean TV stars Yoon Eun-hye and Lee Dong-gun have been offered roles in an upcoming KBS drama, the one CNBLUE Jung Yong-hwa is considering.Yoon and Lee are currently eyeing their roles in a new melodrama “The Choice of the Future” (translated title), the follow-up series to Joo Won’s medical drama “Good Doctor,” officials with Lee’s agency FNC Entertainment and Yoon’s The House Company Entertainment told TenAsia Monday.K-pop band CNBLUE’s Jung Yong-hwa has also been offered a role in the drama and is still considering his appearance in the drama, which might be Jung’s small screen returner in two years after his lead role in MBC’s romance drama “Heart Strings.”The drama will center on a son of a broadcasting company’s CEO and a girl who struggled her way up to become a television writer. As a time-slip story, the show will then head to when the girl from the future meets herself in her past to warn her not to meet the man at present.Yoon Eun-hye most recently starred in MBC drama “Missing You,” which ended its run in January opposite to Yuchun of K-pop trio JYJ.Lee Dong-gun, who was discharged from his mandatory military service last March, made his last appearance on the small screen with his role in MBC drama “Night after Night” in 2008. Lee Dong Gun and Yoon Eun Hye has been offered to act as the main leads for KBS2′ upcoming time-travel drama Future’s Choice. According to their agencies, their appearance in the drama is still not yet certain but they are positively reviewing the offer. Early reports says CNBLUE’s Jung Yong Hwa, who’s in the same agency (FNC) with actor Lee Dong Gun, has received an offer for a role in the drama and is highly considering the offer. The drama series revolves around workers at a broadcasting station and also involves a female worker there who goes back in time to meet herself when she was younger. The writer for “Future’s Choice” is Hong JinAh, who is also the writer of KBS2′s “Beethoven Virus” and MBC’s “King2Hearts”. It will be directed by Kwon Gye Hong, director behind past dramas like “Cruel Love” and “Detectives in Trouble”. If actor Lee Dong Gun accept the offer, this will be his comeback drama after 5 years since his cameo appearance in SBS “Star’s Lover” in 2008. 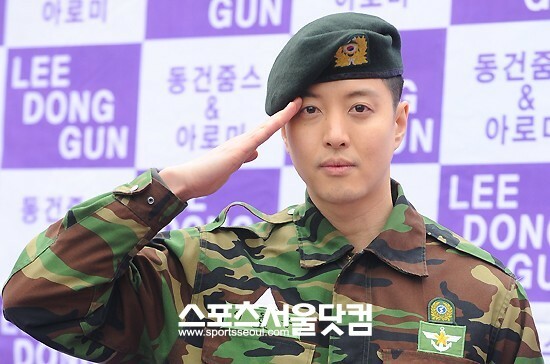 Lee enlisted for his mandatory military service on 15 June 2010, served at the Defense Media Agency of the Ministry of National Defense and was appointed Honorary Ambassador of Military. He was discharged on 28 March 2012. In November 2012, It was announced that Lee signed on exclusively with FNC Entertainment, who will managed his future activities, and comeback project. “Future’s Choice” is expected to be broadcast on October as “Good Doctor” successor. KBS 2TV 월화극 '미래의 선택'이 오는 10월 전파를 탄다. '미래의 선택'은 방송국 PD와 방송작가, 아나운서 등 방송가 사람들의 일과 사랑을 그린 드라마다. 여기에 타임슬립(time slip) 소재를 가미해 방송작가로 일하는 여자가 과거의 자신을 만나며 벌어지는 에피소드를 녹인다. 드라마 '베토벤 바이러스'(08) '더킹 투하츠'(12)를 집필한 홍진아 작가와 '강력반'(11)을 연출한 권계홍 PD가 손을 잡고 만들었다.
' 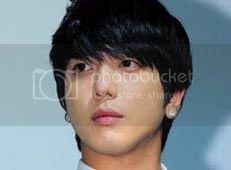 꽃미남 밴드' 씨엔블루 리더 정용화가 드라마 '넌 내게 반했어'(11) 이후 2년 만에 브라운관 복귀작으로 선택한 작품이다. 정용화는 방송국 CEO 아들이자 능력있는 PD 박세주를 맡았다. 이동건·윤은혜도 출연을 긍정적으로 검토하고 있다. 출연을 확정지을 경우 이동건은 아나운서 김신, 윤은혜는 막내 작가 나미래 역을 맡게 된다. KBS 2TV's Mon-Tuesday drama "Choice of Future" will be on air this October. "Choice of Future" is about the work and romance between those who work in the TV industry, such as PD, writer, and announcer. Included here is the time-slip element where a TV writer meets her past self. This is a joint effort of writer Hong Jin-a who has written dramas "Beethoven Virus (08)" and "The King: 2Hearts(12)" as well as Kwon Kyehong PD who has directed "Crime Squad (11)". This is the drama that the "flower band" CNBLUE's leader Jung Yonghwa has chosen to return in two years since "Heartstrings(22)". 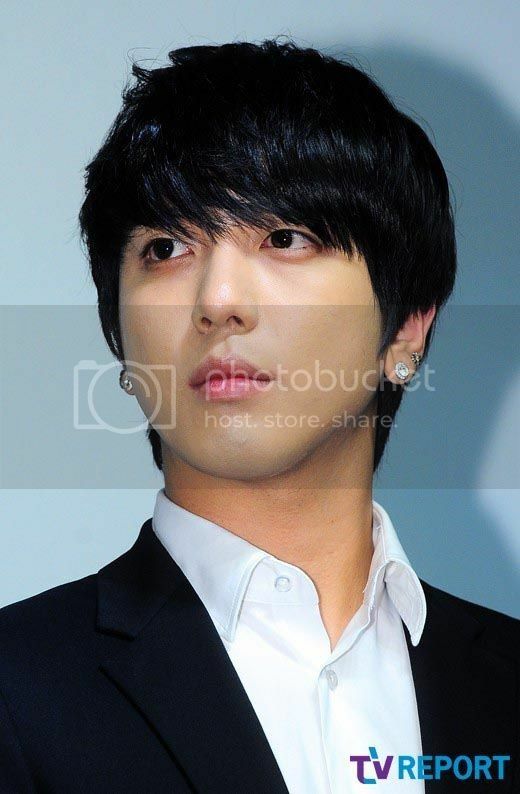 Jung Yonghwa takes the role of TV network CEO's son and talented PD Park Seju. Lee Donggeon/Yoon Eunhye are also positively considering the apperance. If confirmed, Lee Donggeon will be the announcer Kim Shin, Yoon Eunhye will take the role of entry level writer Na Mirae. Lee Dong Gun and Yoon Eun Hye previously worked on a music video entitled "Salad Song"
Take it with a grain of salt as the comments does not represent the whole nation..